Last night (2/6), Irving Plaza was witness to call-and-response sing-a-longs with the audience, epic guitar solos played while riding a roadie through the crowd, and a trust fall into the congregation. And that was just one song. It could only be The Darkness. 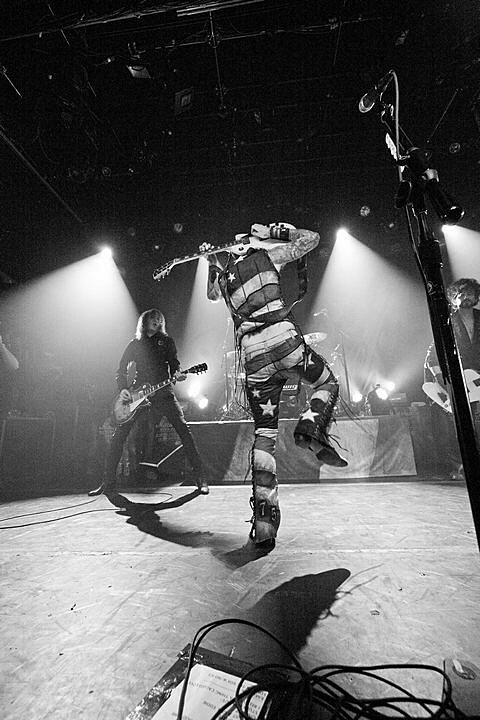 The Darkness play Stubb’s tonight (5/25) and tickets are still available. The band have almost finished up their current North American tour which wraps up at the House of Blues in Dallas on Sunday (5/27) and tickets are still available for that show too. They then fly to Europe where they’ll be tour openers for…Lady Gaga? It’s true. All Darkness tour dates are below.